And a picture is attached also. Reply to jim, I had the same trouble. 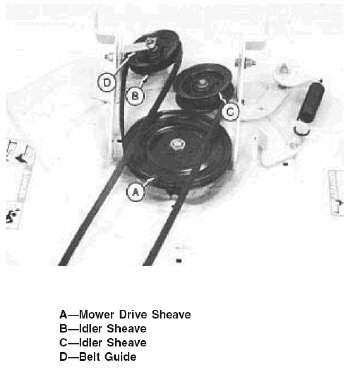 The diagram does not show the twist or figure 8 patern you need to put in the belt where the belt goes over the engine pully. Try looping the belt into a figure 8 such that the two sides do not touch. Can you send be belt diagram for stx30 too please.. caleb.bobbitt@gmail.com Thanks and much appreciated.